The BAM Trekking Double Clarinet Case comes with a navy blue exterior and black interior. 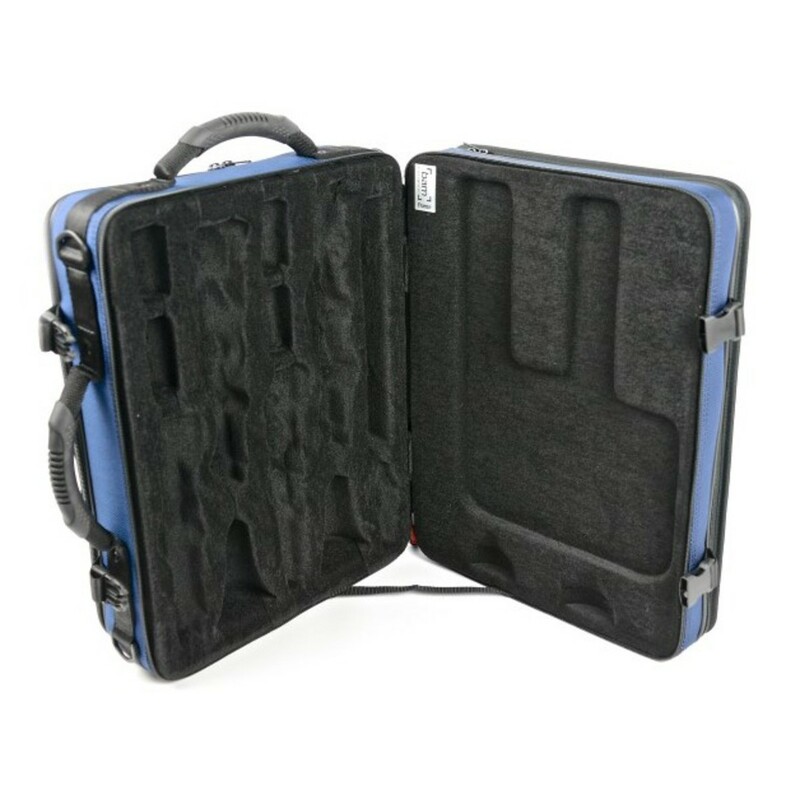 The case is fitted with injected high density polyurethane foam, to protect the instrument against thermal shocks. The interior consists of BAM's own made resilient polyurethane foam which is injected in special moulds to provide a comfortable and protective fit for the instrument. 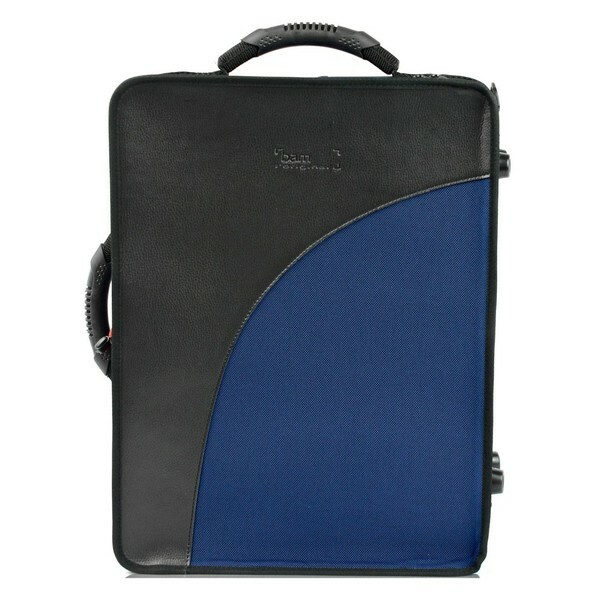 Coated in 2000 denier water resistant fabric, this case is designed for the touring or travelling musician. 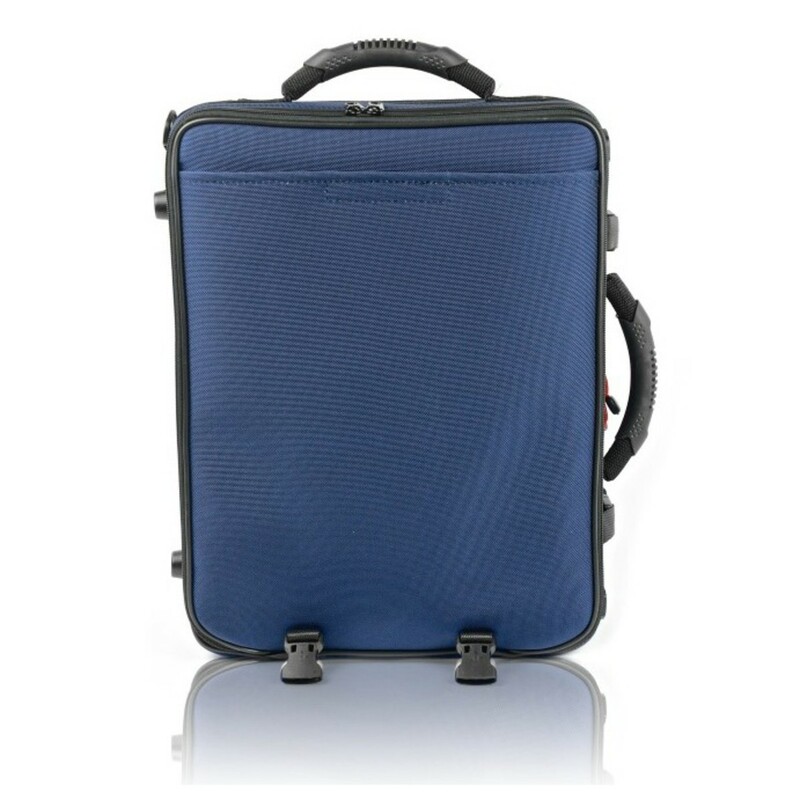 Two shoulder straps are included with this case to ensure comfortable travelling. Fitted to the case are two pockets, a large expandable back pocket and a front external one, suitable for sheet music.